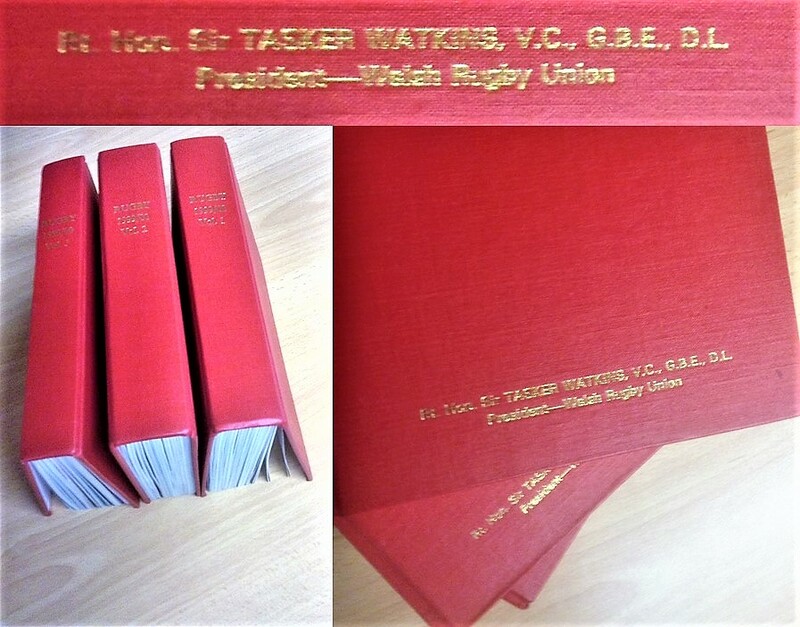 Six Nations VIP rugby match programmes 1999/2000 - 3x volume set bound in red and gilt boards - engraved for Sir Tasker Watkins, VC, President of the WRU. Fine condition. 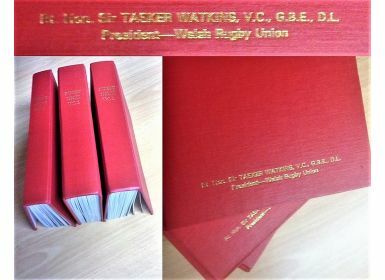 NB: Donated to be auctioned for the benefit of the WRU Charitable Trust.